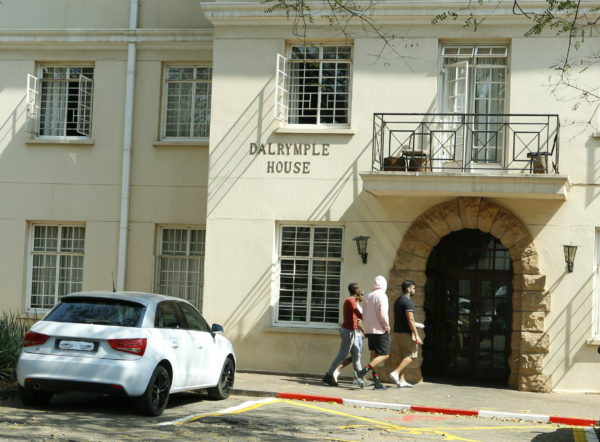 Professor Joseph Seabi leaves Dalrymple House after being dismissed at Wits for non-disclosure of a relationship with his student. A Psychology lecturer has been fired from Wits University for non-disclosure of his romantic relationship with a masters student that he was supervising. Joseph Seabi, 38, an associate professor in the department of psychology, and a hall coordinator at Dalrymple House residence, was relieved of his duties early in August. Although the university has banned relationships between staff and undergraduate/honours students, academic staff are permitted to have romantic relationships with masters, doctoral and postdoctoral students on condition that these relationships are formally disclosed to the Gender Equity Office (GEO). “This issue should serve as a deterrent to other staff members and students, and send a strong message, especially since it is hard to tell in which situations students are compromised. Wits is moving towards being a postgraduate institution and such relationships cannot be avoided,” Nduna added. Seabi is alleged to have been involved in enrolling the student in the masters programme, according to a source who did not want to be named. According to a report in the Sunday Times of August 19, Seabi was not the only Wits staff member to be fired for non-disclosure of a romantic relationship with a student this year. Wits University spokesperson Buhle Zuma would not confirm this, however, saying, “Disciplinary information of staff and students cannot be disclosed. “However, the university can confirm that two individuals were asked to leave the university in recent months for contravening the university’s policies, rules and procedures,” Zuma said. The policy governing relationships between staff and students at Wits was introduced in 2016 based on the findings of the sexual harassment enquiry which took place in 2013. Wits Vuvuzela: STATEMENT: Wits professor found guilty of sexual misconduct, dismissed, February 2017.